Gail and I went on a bit of a ten day road trip around Devon and Cornwall a few weeks ago, but I haven't got around to editing many of my photos yet, due to other commitments. So I have two weeks missing from the blog. But hope to start filling in the missing days from tomorrow. So I thought I would make a bit of a start tonight, with a street scene from St Ives in Cornwall. 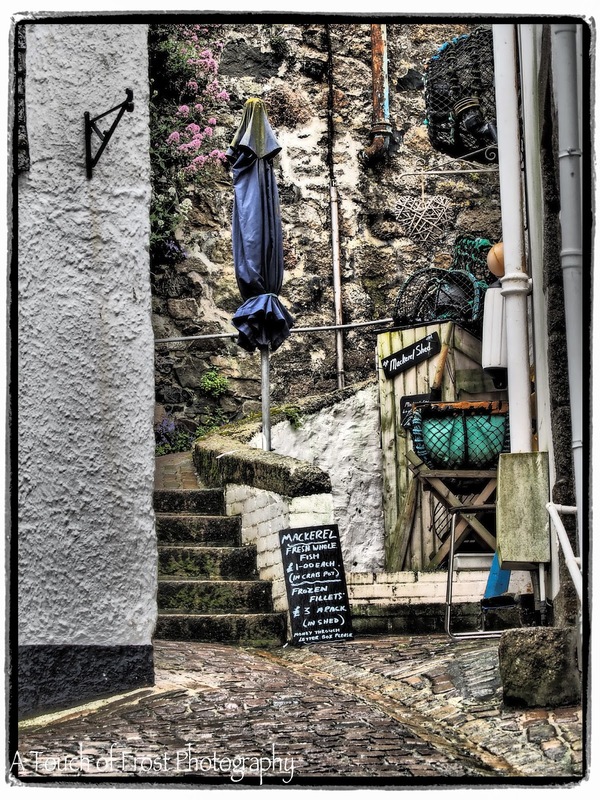 With it's quaint little streets, and of course the harbour and beaches, meant that I took an awful lot of photos. Gail did too. One of the highlights was to see our dear friends Stewart & Julie renew their wedding vows after ten years of marriage. Stewart is a photographer and blogger like me, while Julie's main passion is textiles. 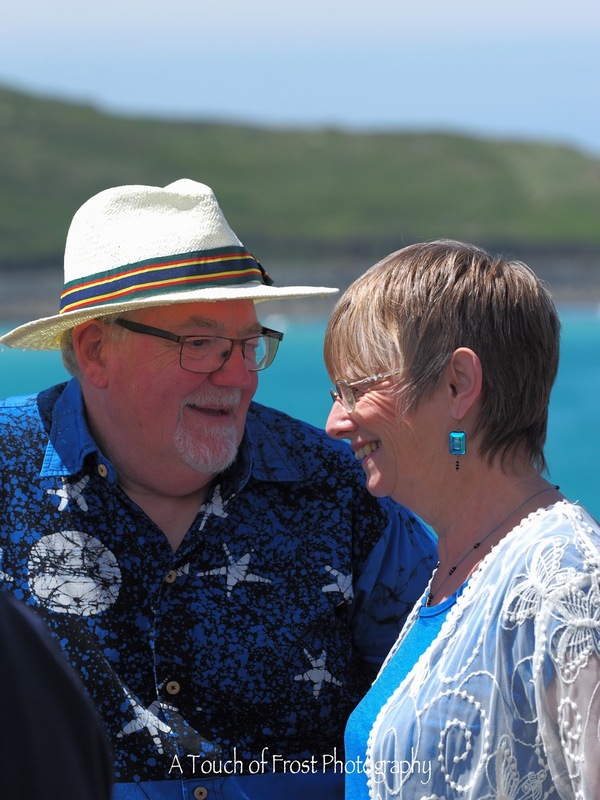 A few months we received our invitation to join them in St Ives for their celebration, and as both gail and I have never visited the west country, we jumped at the chance. It was a lovely sunny day, and everything seemed to go perfectly, right down to the pub meal afterwards. Wish we were back there, as it's a fabulous place.